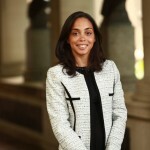 Latoya Joyner, Member, NYS Assembly, 77 AD. 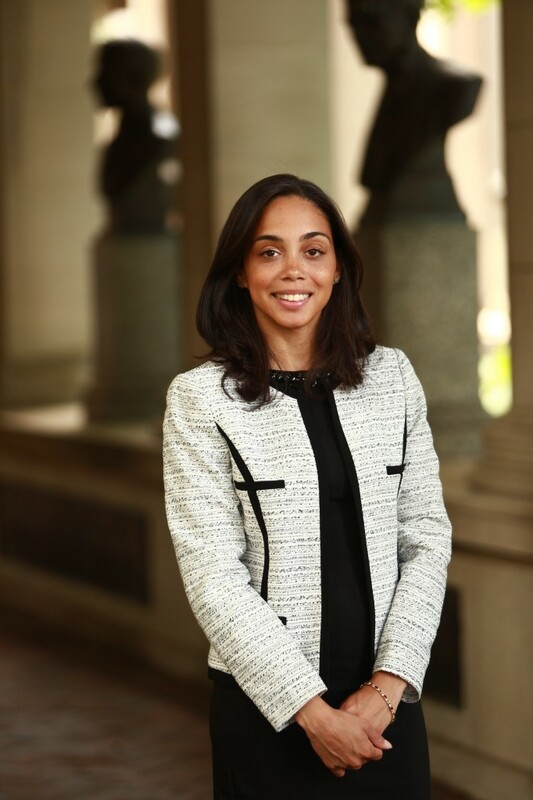 Focusing on educational opportunity and increasing literacy, Assemblywoman Latoya Joyner will honor district children and their families, organizations and other community stakeholders that participated in her First Annual Summer Reading Challenge. The Assemblywoman will award children in her district, including those in special needs housing and shelter situations, with a New York State Excellence in Reading certificate and other great giveaways. Community stakeholders include Bridge Builders and the New York Restoration Project. 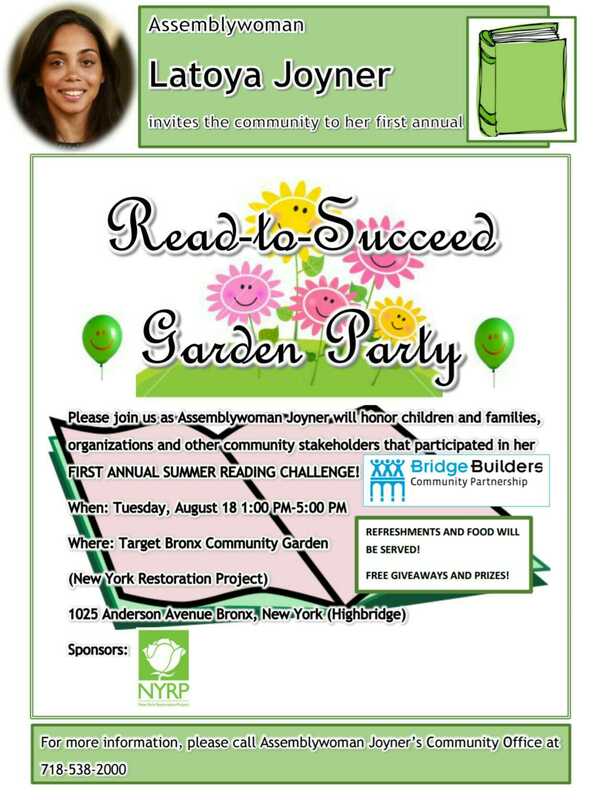 AM Joyner’s garden party celebration for young readers is tomorrow from 1:00 PM-5:00 PM at the Target Bronx Community Garden (New York Restoration Project) located at 1025 Anderson Avenue in the Highbridge community.